Following on from the success of the Cubot Rainbow 2, Echo and Manito Cubot have released the new J3 model. The 5- inch 18:9 display is comfortable to operate and offers a vivid and consistent viewing experience. The Cubot J3 is equipped with the classic processor (MT6580, quad-core, 1.3GHz), and its power consumption is low. In addition, the Android GO system and dual power saving mode coupled with 16GB onboard memory and 1GB RAM makes using the Cubot J3 a smooth and stable experience. 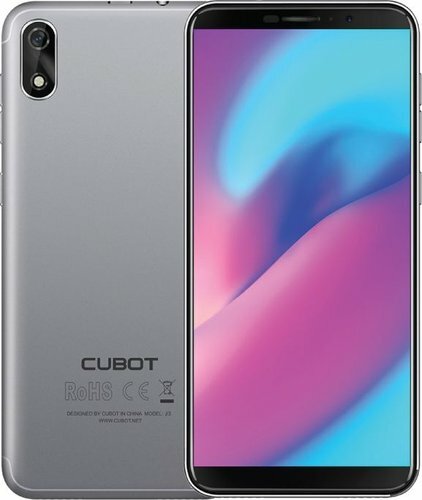 The Cubot J3 features Advanced Security Face ID. The Cubot J3 features an 8MP rear camera and features Cubot's advanced image algorithms making it easy to take great photos. The 5MP high definition selfie camera has automatic focus helping you achieve great selfies every time. The Cubot J3 features a 2000mAh long-lasting battery which has a standby time of up to 7 days.